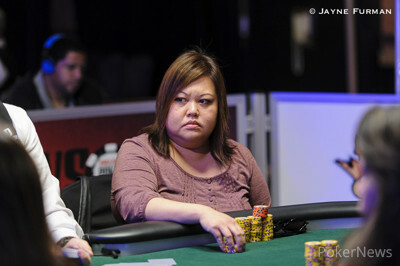 Hand #43: Elizabeth Montizanti moved all in on the button for 109,000 and the ladies in the blinds folded. 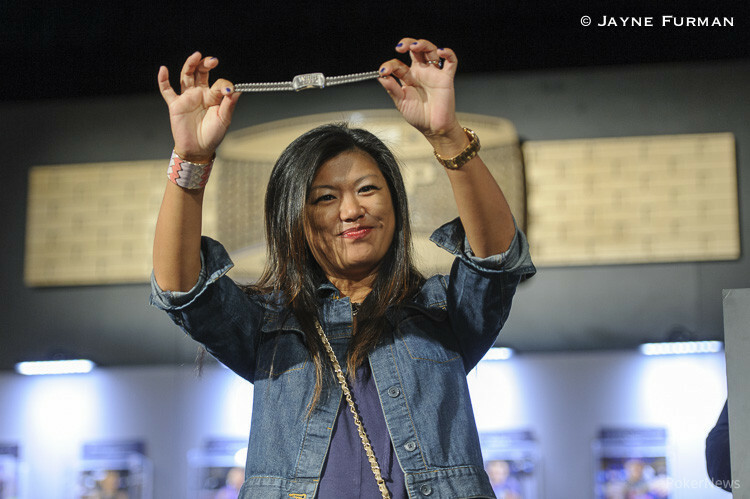 Hand #44: Persia Bonella opened to 35,000 under the gun, Meikat Siu called from middle position, and Mikiyo Aoki called in the big blind. A three-way flop was dealt , Aoki checked, Bonella bet 58,000, Siu raised to 116,000, Aoki folded, Bonella three-bet shoved all in for 167,000, and Siu made the call. Bonella was ahead with he pair of fours and two cards to come. The turn came and Siu had paired her queen to take the lead and the river sent Bonella to collect her earnings in sixth place.